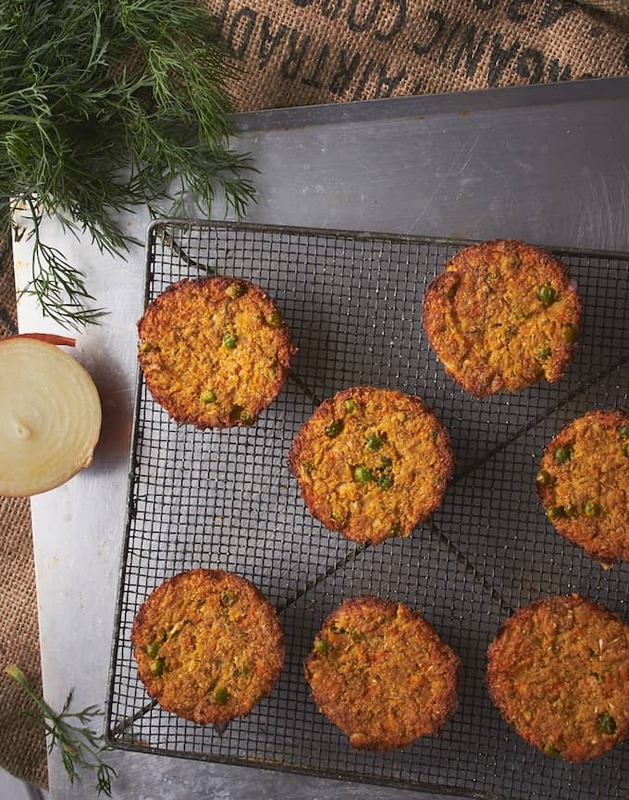 These fluffy, savory veggie muffins are an easy and healthy addition to any meal. Whether eaten on the side, as a main focal point with dinner, or as a snack, these vegan, gluten free and paleo veggie muffins are delicious and nutritious at any time of day! Welcome to another awesome guest post featuring an easy and healthy recipes for savory veggie muffins! Perfect for a holiday table or any day, I can’t wait to try out this yummy recipe from Katie and Josh from The Delightful Vegans that uses simple ingredients like cauliflower, peas and almond meal. 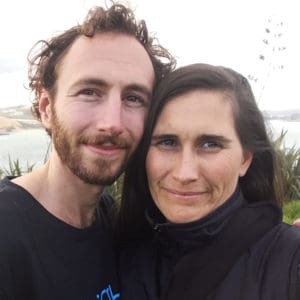 Australians Katie and Josh are kindred spirits because, like me, they love to travel and have a ton of travel posts on their site about New Zealand, Bali, Japan, Australia and more! Take it away, Katie and Josh! 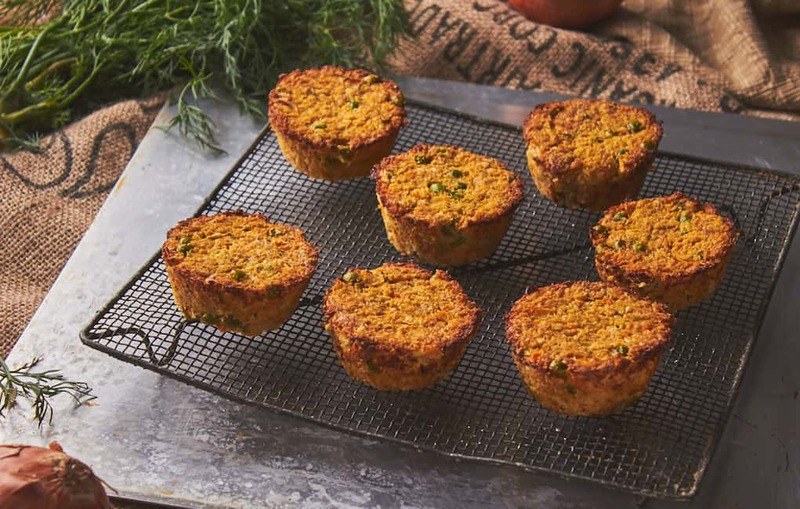 These Savory Veggie Muffins are a fantastic option for the Christmas table this year, or a lovely meal with a side salad and/or veggies. They are easy to make and you can freeze them! They’re also perfect for school lunches! If you’re looking for more Christmas Food ideas, please visit our website Delightful Vegans for more Christmas inspired Recipes for your festive season! These Savory Muffins are light and not too heavy. They’re kind of fluffy inside – almost like a quiche! They’re quite moreish and a great snack too! They are yum to eat on their own – or try them with a Chipotle Mayo (recipe coming on our blog soon! ), or a Homemade Tomato Relish! We grated carrots in ours, but you could try pumpkin, sweet potato or zucchini for something different! If you don’t like dill, then feel free to substitute with another herb – parsley, basil, thyme, coriander – so many choices! 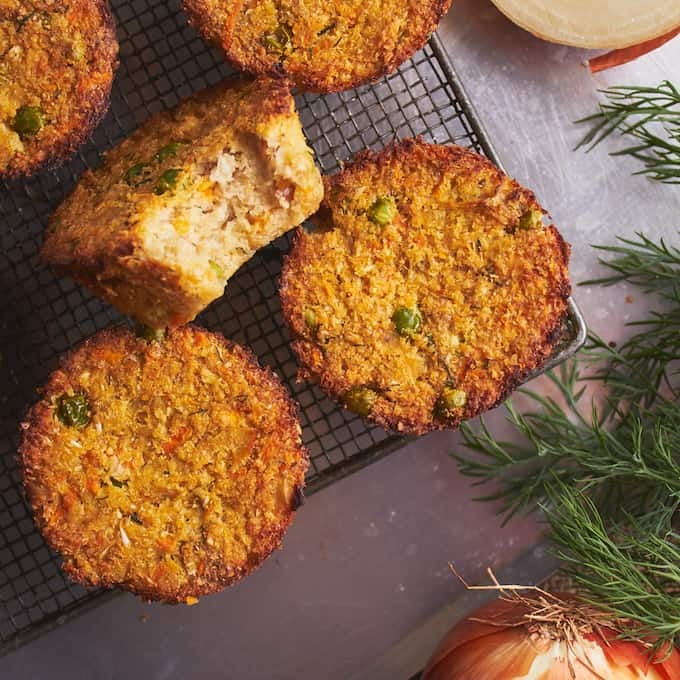 If you like these Savoury Veggie Muffins, try out our Lentil Cashew Loaf or one of our most popular recipes – our Pecan and Mushroom Wellington – and if you’re after some accompanying recipes, try out our Cumin Spiced Carrots and perhaps a Hearty Risotto Salad! We’re Josh and Katie – the Delightful Vegans and we love to create delicious vegan food. Our recipes range from being super easy to others that may take a bit more time. Exploring the world in our travels gives us new insights into our creativity in food – so some our recipes are a fusion of different flavours and styles from around the globe. We both have our own areas of expertise when it comes to Delightful Vegans. Josh brings his creativity to our project with a camera and his computer skills, while Katie dreams up, creates and styles marvelous food to share with the world! You can find us on Facebook, Instagram, Twitter and our Website. Preheat the oven to 200 degrees Celsius / about 400 Fahrenheit. First cook the onion and garlic in some water or oil for about 5 minutes or until softened. Blend up cauliflower in the food processor till fine, then add the carrots, onion and garlic and dill. Transfer the mixture to a mixing bowl. Add the peas, psyllium husk and almond meal and mix through well. Grease a muffin tin with some coconut oil or plant based butter. Scoop 1/2 cup of mixture into each section. There should be enough for exactly 12 Muffins. Bake in the oven for 40 - 45 minutes, being careful not to burn them. Let cool for 15-20 minutes in the muffin tray and then tip out onto a wire rack and cool completely, or eat warm! ** psyllium husk is a plant fiber that works as a binder. You can probably sub the psyllium husk with flax meal or chia seeds, as it will probably do the same thing. The link above is an affiliate link. 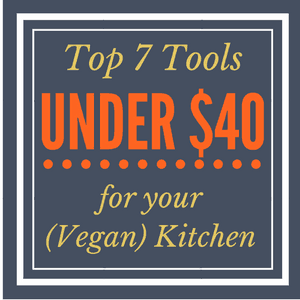 If you make a purchase after clicking, your costs stay the same but I receive a small commission to help support Vegan Chickpea. Thank you for your support! These These look so delicious yet healthy! Such a great snack for when the munchies take over! This is such a great idea! Perfect for getting in for veggies. Thank you Sarah for collaborating with us! Need to make these again ASAP! Happy holidays and wishing you a lovely Christmas! Thanks so much, Katie! Thank YOU for sharing your gifts! Aren't they!? So happy to have them here! Would love to know if I could sub tiger nut flour for almond meal. I don't do well with almonds...I'm thinking I can, it's just that I'm new to this grain free thing and I have no idea what the exchange would be? Would you happen to know? These look so great! Hi Tawny! Hmm, I've never worked with tiger nut flour before so I'm really not sure! If you try it out, be sure to let me know! I think oat flour would work well but you said you can't have grains? Can you have other nuts, like cashew flour? That could work.